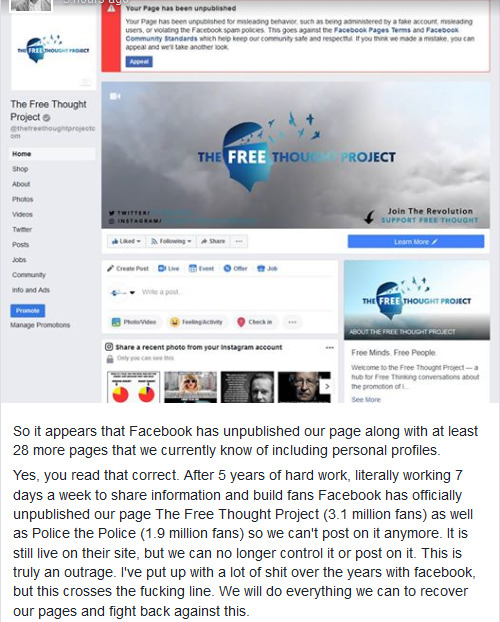 For months now, The Free Thought Project, Police The Police, The Anti Media and The Free Your Mind Conference dozens of other pages that I am affiliated with were unpublished from Facebook. According to an article from the LA Times, this was a concerted effort to wipe out "spam" accounts that post political links. Next, Anti Media and numerous writers for the site got banned from TWITTER, showing cooperation between the two social media giants.